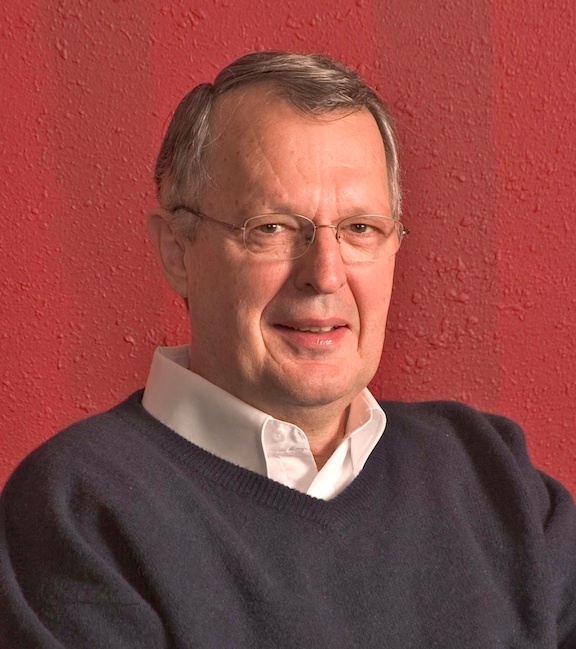 When I say that Dr. Aldrich was a “mentor from a distance,” I mean that I never had the privilege of knowing him as a friend or ministry colleague, but I read almost everything he wrote (several times) and it deeply shaped who I am today. Dr. Aldrich went home to be with the Lord not too long ago. Everyone that I have talked to over the years who had the privilege of knowing him “up close and personal” said he was one of the most godly, grace-filled, loving, prayer-focused, God-centered, evangelistic men they had ever met. Dr. Aldrich is probably most well known for his classic book, Lifestyle Evangelism: Learning to open your life to those around you. Throughout the years, I’ve always encouraged younger pastors to read Lifestyle Evangelism (especially “Section 2: Evangelism and the Local Church” – chapters 5-8), because of it’s emphasis on ecclesiology (the doctrine of the church). This section is not, nor was it intended to be, a complete theological treatise on ecclesiology. But it did provide some very helpful insights about the importance of pastors and elders – and the effect that they have upon the life and direction of a congregation. In other words, the lifestyle of the leadership is what will be mirrored by the congregation. Another way to say it is: a church is simply a lengthened shadow of its leaders (pastors, elders and leaders). Scripture puts it this way: “like people, like priests” (Hosea 4:9; Isa. 9:14-16; 24:2; Jer. 8:10-12; Ezek. 22:26-31; Matt. 15:14). This is why Scripture places such a high emphasis upon godly, equipped pastors and elders (this is also why GTN exists). In other words, the primary purpose of our weekend services is to glorify God by worshiping Him and building up the body through the teaching of God’s Word. The church scattered is tasked to take the gospel into the homes, neighborhoods and workplaces of the congregants. Interesting Side Note: One of Global Training Network’s staff members (Dr. Roland Niednagel) served back in the 70’s as the Youth Pastor under Joe Aldrich at Mariners Church in Newport Beach, CA. 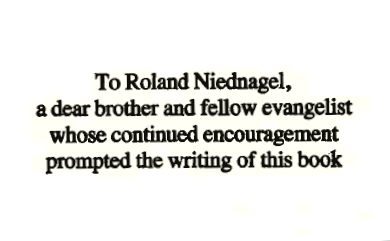 It wasn’t until Roland had been on staff with GTN for a couple years that I realized Joe Aldrich had dedicated the book to “Roland Niednagel” (notice screenshot of the dedication page from my dog-eared copy of Lifestyle Evangelism). Around 1985, Dr. Aldrich wrote an article entitled “Institutional Winter is for the Birds” that was published in Multnomah School of the Bible’s monthly magazine. I’ve kept the article, and used it over and over, often passing it on to others. I also used it with all of our original leaders in the church that Lisa and I planted back in 1990. I came across the article recently and re-read it (I had not read it in probably 8-10 years). My first thought was: this would be a great blog post – especially for pastors and leaders. As regular as clockwork, salmon return from the sea to the streams of their infancy. Unerringly they wend their way past a thousand barriers, fight man, current and predators to spawn and die at the place of their birth. 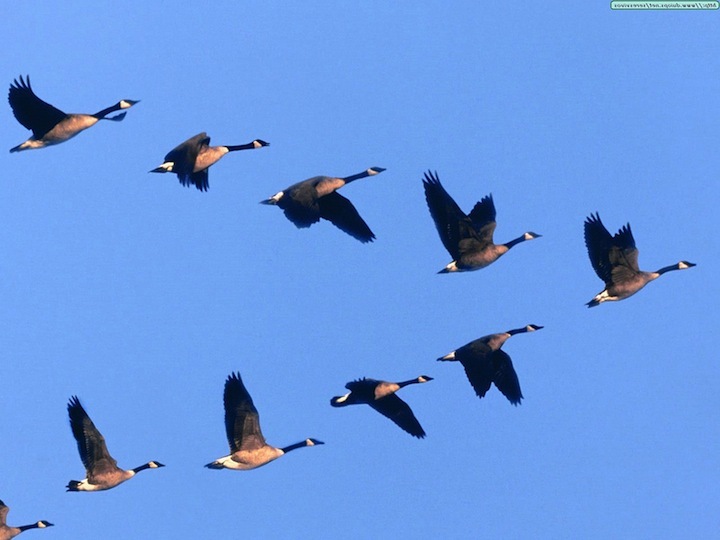 Robins herald the melt of winter under the fleeting shadow of airborne geese making their annual “V”-line northward. Since the beginning of time, in response to nature’s silent, irresistible promptings, groundhogs appear, salmon spawn, and geese migrate. Mission accomplished…and a new generation flits through streams of water and air, repeating the endless cycle. Institutions have a life cycle, too. Green and supple youth; a period of flourishing strength; gnarled old age. The cycle is as old as the spawning of salmon. 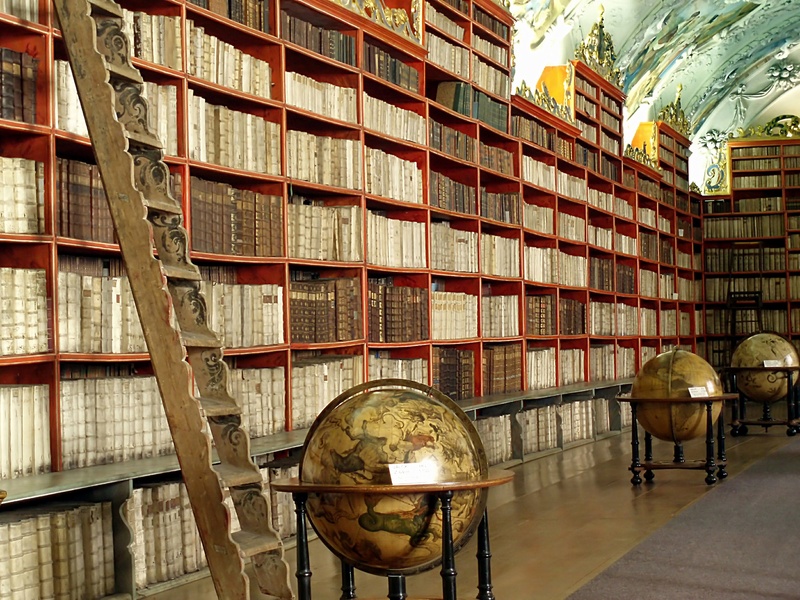 Ideas threaten institutions – and they themselves become institutions threatened by ideas. Most churches begin with a burst of enthusiasm, a glow of warmth and a community of friends. Basking in the glow of it all, leaders are determined that their church will be “New Testament,” will “avoid tradition” and will most certainly “be different.” With naive optimism, they fully expect to ban the routine, shun the ordinary and avoid organizational dry rot. So much for spring. But slowly, inexorably, the seasons change. Grand ideals and visions fall away like blossoms in a summer breeze, like leaves in a September wind. And all too soon only the naked branches of lifeless structure remain. Spring, Summer, Fall and Winter. Nature’s winter succumbs to a yearly conspiracy between the sun above and seeds below. As far as we know, nature’s spring has always succeeded in loosening winter’s icy grip. Would to God we could be so optimistic about shattering the grip of institutional winter. Vital communities become assembly lines processing multitudes. The personal becomes impersonal. Creativity goes AWOL. Body life dies, trapped in forms of another era, wineskins of a different day. Grasping for an excuse to justify their inertia, some leaders cite the apostasy of the last days. Others blame the choir, the board or the pastor. Could be all of the above. Perhaps none. But the fact remains that the Lord of Glory will remove His candlestick from the church which fails to maintain a cycle of renewal, a community of love. That was His warning to the Church of Ephesus. Doctrinally sound, they were spiritually dead—and on the razor edge of forfeiting their Lord’s Shekinah glory. Most churches start with a man, become a movement and harden into a monument. The very dynamics which caused growth are killed by growth. Unless preventive measures are instituted, forms replace function, structure crowds out fellowship and regulations replace reality. But churches need not die – organizations need not slip into stagnation. And yet they do. Why? How can this slow dance with death be prevented? What can be done to promote continuous renewal? Most churches – and denominations – are born in a time of stress as a reaction against error, abuses and the imbalance of the status quo. The “new kid on the block” is just that…a new kid on the block. Sometimes opposed, generally ignored, it struggles for survival. Finances are hard to come by. Facilities and adequate staffing are items of weekly concern. But some positive, temporary dynamics are at work which keep folks coming back. Most church decisions can be made over coffee at Joe’s Pancake House. Everyone knows everyone. It’s a community of friends. The efforts to survive tie folks together in a common bond. The warmth and fellowship seem genuine, and probably are. New Testament-flavored body life is probably at its peak during these bullish days of green and supple youth. The body functions! People do care for one another, love one another, forgive, support and uphold one another. There are no traditions to support. Leaders are free to innovate, to change, flex, adapt. Body function is free to develop meaningful and diverse forms and structures. Vision pumps spiritual adrenaline into the fellowship. A sense of mission prevails. Most institutions (secular or sacred) begin with a handful of people who are conceptualists. They have the ability to look out into the future and visualize new ministries, new opportunities – and new ways of meeting needs. The magnetic quality of vision must not be underestimated! Without it, churches die. Visionaries are dreamers. With bold strokes they paint sand castles on the canvas of the future. It was Carlyle who said, “the minds of men are not inflamed by small ideas.” He was right. Usually, however, the dream remains a dream if it’s the conceptualist who tries to bring it about. He can conceive but not construct. Conceptualists need planners to put their vibrant ideas into shoe leather. A planner’s vision may fade at the horizon, but he can tell you how to get to the moon if you share the vision with him! A planner comes alongside the conceptualist and says, “That’s where you want to go? I’ll show you how to get there.” The dream is captured, harnessed, and wrestled into reality. Once the dream is born, the conceptualists and planners move on to greener pastures. Neither are maintainers. Once the tracks are laid they’re looking for new challenges, new missions, new opportunities. The maintainer takes over. He delights in keeping the train on the tracks. Does it well. His inner clockworks thrive on the principle of zero deviation. Change is anathema. It upsets his equilibrium. The results are history…the history of most institutions. Like I said, ideas threaten institutions and then become institutions threatened by ideas. With the maintainers in control, the institution begins to drift (on track, of course). The vitality and vision of the “early days” – the attractive, compelling something that attracted people to the church in the first place – has gone with the wind. The new wineskins have become old, the visionaries have gone elsewhere, and the maintainers keep right on maintaining…right into the wall. Do you see the trend? Power becomes centralized and institutionalized. Healthy functions become the captive of form. And so form (structure and organization) becomes the center of focus! Instead of a mere transporting device to get from the present into a well-visualized future, form becomes the measure of success or failure. How quickly we become ritualists! How quickly we lose all memory and understanding of function. We say that our ministry is “successful” as long as we perpetuate the culturally-conceived forms. The form becomes sacred. Its shrine is guarded by the maintainers (often pastors, by the way). The real functional questions go unanswered. Focus has long since shifted from a living organism and its needs to a bureaucratic organization. Institutionalism is in the driver’s seat when the church turns inward. When it is more taken up with its own existence and preservation than it is with the mission for which it was founded. Increasingly timid and myopic, the institutionalized church becomes more concerned with the correctness of one’s doctrine than with the quality of one’s life. Beliefs become crystallized into dogma demanding acceptance. Gnarled old age has arrived when means become ends and ends become means, when loyalty is determined by service to the organization rather than to its Lord. 1. Think vision. Renewal begins and ends with vision. The conceptualists and planners will come alive when thrown the bait of vision. Talk about it, plant seeds, organize planning retreats, write mission statements. 2. Provide motivation, conviction and morale. People need to believe that their individual efforts will mean something to the organization and will be properly recognized and appreciated. Selah! 3. Develop a healthy program of recruitment…a program which doesn’t recruit to a program, but a vision! And remember this: Recruitment without an equal commitment to the development of talent is usually counterproductive. People are the ultimate source of renewal. 4. Work toward a healthy fluidity of internal structure. This is the old “cemetery principle”…if something is dying, bury it. Organization is only a transporting device to get us from where we are to the future we have planned for. Most organizations have a structure admirably designed to solve problems that no longer exist. Organization is a servant to be used, not a god to be worshipped. 5. Fight hard to release folks from the prison of procedures. The rule book always grows fatter as the ideas grow fewer. 6. Combat the vested interests which plague every human institution. The continuing viability of the organization is the legitimate vested interest of perceptive Christians. 7. Focus on what you may become—not on where you have been. We’re all inclined to look at life through the rear view mirror, and yet the church cannot thrive if it develops the habit of looking backward. 8. Communicate! It’s almost impossible to overdo it. Folks want to know what is happening…and they have a right to know. If renewal is to become an ongoing process, the church must have a clear understanding of herself, her function and her purpose. She must be able to distinguish between cultural and biblical Christianity, and must not make cultural forms sacred. Healthy tension must be maintained between the conceptualists, planners and maintainers. Imbalance in any direction will ultimately hinder the renewal and growth of the church. We are mutually dependent. Recruit new leadership in key positions. 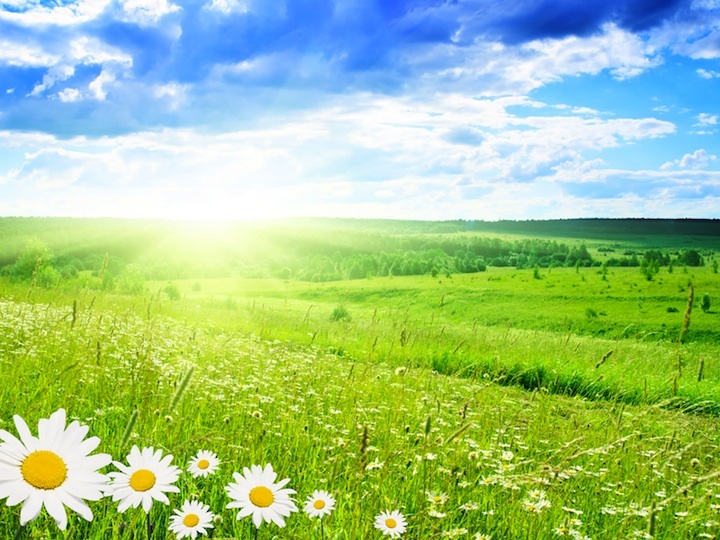 Think vision, vision, vision…and pray for spring.